Mechanika has a proven track record in the design, analysis and optimisation of cranes, ship loaders and remote handling systems for the materials handling sectors. Because we have a core understanding of mechanics and material science we can produce designs that are lean, light, modular and robust. This is achieved by our detailed understanding of the loading conditions, environment and construction methods used when designing such equipment. 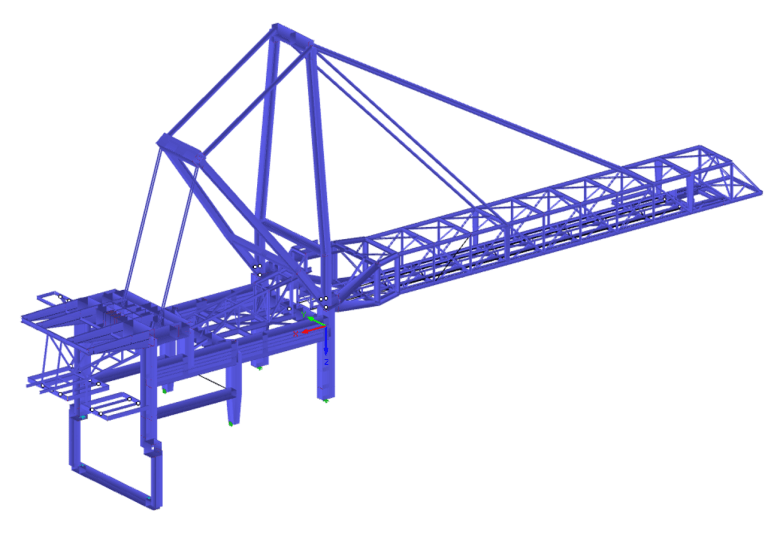 The Boom/Jib is a complex assembly that must be designed with due consideration to the load cases experienced by the equipment, the necessary design codes and associated risks. We are able to capture all of these requirements and underpin them with detailed calculations to demonstrate the compliance of your designs, so that they are right first time. We can design every component in your system to have agreed safety margins, which are calculated and recorded for you so that you can control and maintain the structure.